Learn how Ultravation’s UltraMAX™, a whole house germicidal UV air and surface disinfection treatment system, can improve the healthfulness of the air in your entire home. 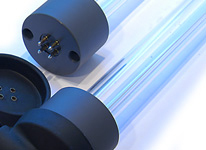 UVC light is well known to kill bacteria and viruses. UltraMAX™ features advanced UVC lamp technology to disinfect the air and stop mold growth on HVAC coils and other interior HVAC surfaces.